UD Rome is committed to providing a complete on-campus spiritual life program for all of its students. To that end our Rome chaplains are present on campus several evenings a week throughout the semester, including Sundays, providing Holy Mass and Confession. During the chaplain's office hours, students also have the opportunity to receive vocational and spiritual direction, together with catechetical instruction for those preparing to enter the Catholic Church. The chaplain's office organizes two optional retreats each semester, one for men and one for women. Rome chaplains also participate in program-sponsored travel, including the Greece and Northern Italy trip. A special Chaplain's Lecture Series is offered each semester, which brings in internationally known guest speakers. An informal conversation on various complex theological topics, called the Dead Theologians' Society, meets weekly. The majesty of the Roman Catholic Church and the model of its pious saints provide an added stimulus to spiritual growth and religious reflection. Mass is held several days each week on campus, typically in the evenings. Prior to Mass, the Sacrament of Penance is available to students as well. Rome chaplains have regular office hours set aside for spiritual counseling and direction. Students may also meet with the chaplain either prior to Mass (on Mass days) or by special appointment. Once per week UD students lend a hand at the soup kitchen of the Missionaries of Charity of St. Teresa of Calcutta at San Gregorio al Celio in Rome, a soup kitchen and hostel located near the Vatican and run by the Missionaries of Charity. As many as 100 people per day are fed, clothed and sheltered by the sisters and their volunteers. This is a series of regular gatherings between students and the UD Rome Chaplain and his guests for the purpose of discussing important theological issues of the day. Attendance is voluntary and the meetings are highly informal. Recent topics under discussion have included the praying of Sacred Scripture according to the lectio divina and the writings of the Holy Fathers on the Sacred Liturgy. Gatherings are held in the Villa Salone, a reception room with comfortable couches and a welcoming atmosphere. Each semester the Rome Chaplain typically organizes a visit to the excavations or scavi below the present St. Peter's Basilica. A highlight of this tour is the visit to ancient Necropolis of the Vatican, where St. Peter's tomb lies. All Scavi Tours are voluntary, subject to scheduling limitations, and paid for by students themselves. Outside of retreats and religious life activities on campus, the chaplain’s office also coordinates optional mission trips over the fall/spring break each semester. These service trips give students the opportunity to volunteer at orphanages, special needs centers, and elementary schools run by various religious congregations. With the help of the chaplaincy, students have the option to serve in countries such as Romania and Albania for all or part of their break. This is a valuable addition to the religious life activities on the Rome campus, as it allows students to give back, serve others and experience different cultures. Three days of peace, prayer, sacramental devotion and spiritual reflection-this is the essence of UD Rome's religious retreats. 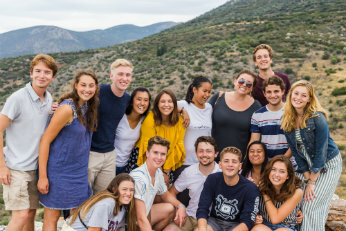 Held at the beautiful and secluded Casa Divin Maestro in the nearby town of Ariccia, these retreats promise students an intensive and valuable encounter with their faith-often like no other that they have yet experienced in life. 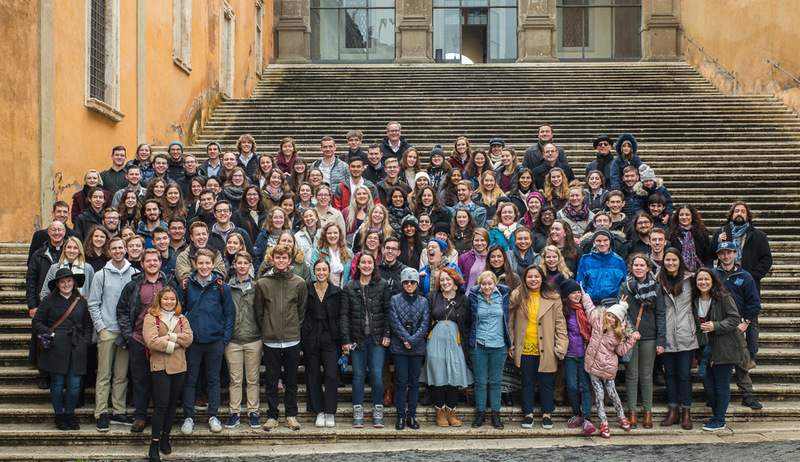 The Rome Chaplain leads these retreats, with the help of his assistant chaplains, local deacons, members of the UD Rome staff, and distinguished guests from the religious world of Rome. 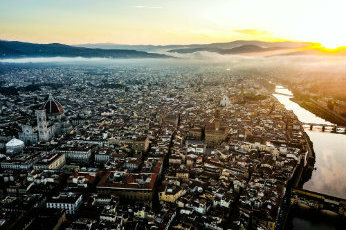 UD's voluntary retreats are scheduled towards the end of the semester so as to give students the perspective and direction they may need in order to make the best of their short stay in one of Christendom's holiest cities. Typically, the women's retreat take place over the course of one weekend, followed by the men's retreat the next. Participation in the retreats is covered by Rome program fees. Hundreds of UD students, faculty and staff have attended these retreats over the years. A native of Ralston, Nebraska (just outside of Omaha), Msgr. Fucinaro began undergraduate studies at the University of Nebraska-Lincoln in 1981. He entered the seminary in New York in 1984 and was ordained a priest for the Diocese of Lincoln on May 27th, 1989. His subsequent assignments included service as an assistant-pastor in two parishes and a tenure at the Newman Center on the campus of the University of Nebraska-Lincoln (1990-93). From 1994 to the present, Msgr. has been assigned to Rome, first for studies in Canon Law, and since 1997 as an official in the canonical section of the Congregation for Divine Worship and the Discipline of the Sacraments. He has served as UD's senior chaplain since Fall 2005. Fr. Brown was born and raised in New Orleans, Louisiana. He entered the Society of Jesus (the Jesuits) in 1991 and was ordained to the priesthood in 2002. He finished his doctorate at Oxford in 2008, and he is now on the staff of the Vatican Observatory in Rome doing research in astrophysics. In 2009 he has begun to assist occasionally with sacramental work at the University of Dallas Roman campus.